As vehicles become more complex, the value and demand for parts salvaged from them is changing. As vehicles and repair techniques become more complex, manufacturers are trending toward OEM certification to ensure proper techniques, data and tools are utilized. For auto recyclers, the trend is double-sided. “It’s a real challenge because it’s almost impossible to find an OEM manufacturer who will talk kindly about recycled or salvaged parts,” says Steve Fletcher, Managing Director, Automotive Recyclers of Canada. While this is cause for concern, there is room for opportunity in the ever-evolving parts that are coming off today’s cars. “The amount of electronic components that are incorporated into cars these days is, on one hand, a huge opportunity for us, because those modules are something with not a lot of moving parts, they can be plucked off, and they are of very high value,” says Fletcher. But often, those parts are tuned into the car electronically, and recyclers don’t have access to the data. Fletcher says he doesn’t think they’re selling as much as they could because these difficulties require the shop to understand what they can order from a recycler versus what they have to order from the dealership. Andrew MacDonald, the Owner of Maritime Auto Parts in Truro, Nova Scotia, says he thinks the market-wide demand for recycled parts is generally increasing, but there are also businesses shuttering their doors. Which parts are most in demand is changing with technology. As cars get more complicated, parts become more valuable–a positive for the recyclers selling those parts, but coinciding with more cars becoming economic write-offs that are too expensive to reprogram and repair. With fewer cars to fix, fewer parts are sold. Corey Earl, Operations Manager at Hotch’s Auto Parts near Belleville, Ont., stresses how important it is for recyclers to be aware of these technological advances and understand how they work. “We’ve gotten to the point now where a lot of vehicles basically have a 360-degree radar system, almost like an airplane, on board,” he says. For this radar system to work, expensive sensors need to be situated near the external shell of the vehicle—making them susceptible to even the lightest parking lot damage. Understanding the value of these components is key to salvaging and selling more of them. 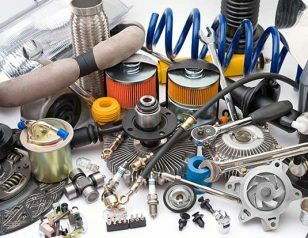 The post Demand for recycled parts is evolving appeared first on Automotive Recyclers of Canada.